00:24 kaeza wrong order of arguments? 00:33 OldCoder Hm. I don't see a need to block unlogged in users as they can't speak anyway. 03:10 benrob0329 Anyone have a linux laptop to reccomend? 03:15 sofar am I crazy or did minetest worldedit have a %ratio type block modifier syntax that I no longer can find? 03:17 VanessaE I'm using AMD here but I might consider Intel next time around. 03:18 VanessaE one thing's for sure, I'll put a high priority on RAM speed. 03:20 kaeza sofar, //mtschemprob ? 03:37 OldCoder <benrob0329> Anyone have a linux laptop to reccomend? 03:37 OldCoder You are here, aren't you? 03:38 sofar don't politicize technology! 06:08 paramat ~tell tenplus1 i remember you found a bug, something to do with mob static data? please could you open an issue with details so we can fix this? 06:34 benrob0329 Sofar couldnt you just make a bunch of faces for your itemframe mod? 06:37 VanessaE that's what armor mod does for flat items. 06:37 VanessaE they're 10 or 20 simple, flat faces, stacked and closely spaced. 06:38 VanessaE er, I mean the wield-3d component of that mod, to be specific. 06:53 sofar benrob0329: make a head mod to make heads nodes, make it depend on itemframe, use the frame register function? 07:07 OldCoder red-004, are you able to provide a link and will you do so? 07:25 red-004 <Fixer> [00:24:01] https://forum.minetest.net/viewtopic.php?f=14&amp;t=17113 kek or not? 07:32 OldCoder That isn't all of MT. It appears to be just a closed-source version of the client. 08:44 celeron55 sfan5: is this happening with the existing ripoffs and other crap? 08:46 sfan5 it was more of a "potential future problem for that client in particual"
08:48 tenplus1 anything new happenign today ? 08:53 tenplus1 speaking of which, devs... would it be possible to override server sounds like we can with texture packs ? so it favours local sound sets without the need to load media from a server ??? 09:04 tenplus1 celeron55: in the mt code it looked like player collision/sneak etc is handled by getting the node under foot every tick... is there any way to store this in the player table for mods to access ? 09:55 OldCoder shangul, you have temporary voice. For permanent voice, must register nick. 09:55 OldCoder I pinged several people.They may respond in the next few hours. 09:55 shangul OldCoder, register nick in freenode? 09:56 OldCoder tenplus1, how about you? 10:04 OldCoder tenplus1, I mean, know about Wikipedia and the MT wiki? 10:06 OldCoder Do you recall why WP hates MT? 10:06 tenplus1 did you try asking any of the devs ? 10:16 lordfingle I like the MT wiki. Just sayin. 11:41 twoelk oh no! castles aren't safe anymore? where do I hide now? 11:53 tenplus1 that'd be kewl... I have Iron Golems to do just that :) they hit hard and take no flack! 11:56 tenplus1 ooh, what ya do ? 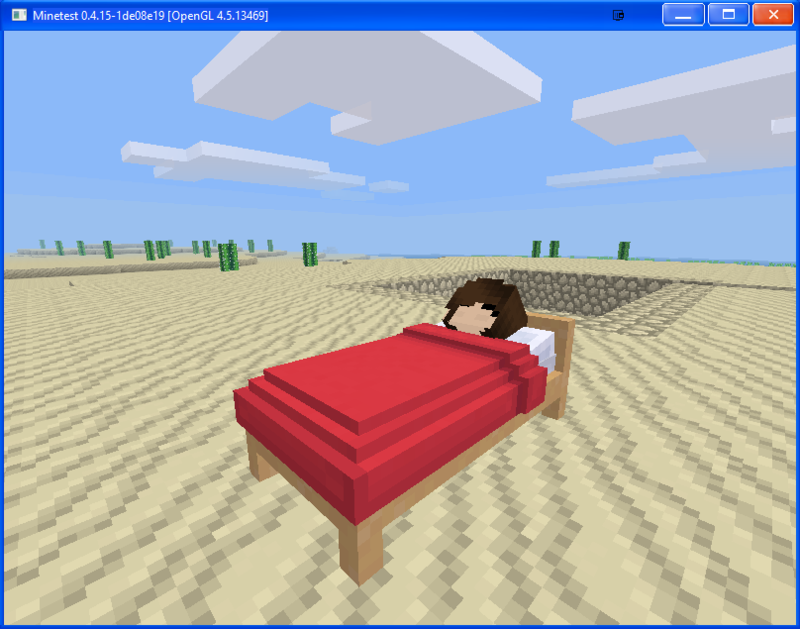 11:58 tenplus1 I like the bed model and head inside the bed... does it use normal textures or just your mirror ones? 12:00 RobbieF tenplus1, hey buddy. 12:00 RobbieF Good to see you. 12:01 RobbieF what do you mean "respects protection"? 12:02 RobbieF will they spawn in it? 12:02 RobbieF ie, if I protect a cave, creatures will still spawn, correct? 12:02 RobbieF can that be disabled with a setting? 12:03 RobbieF or by default can it be disabled? 12:04 RobbieF that's good tenplus1. So updating won't change anything and the protection update needs to be enabled if desired. 12:04 RobbieF Good man. You do things right. I like that. 12:06 RobbieF what's pathfinding=2 do? 12:08 RobbieF is there anything that should be done to tps_crappy mobs? 12:08 RobbieF we should make the dragons on TPS-Xtreme ridable. 12:11 OldCoder can't you scale them? 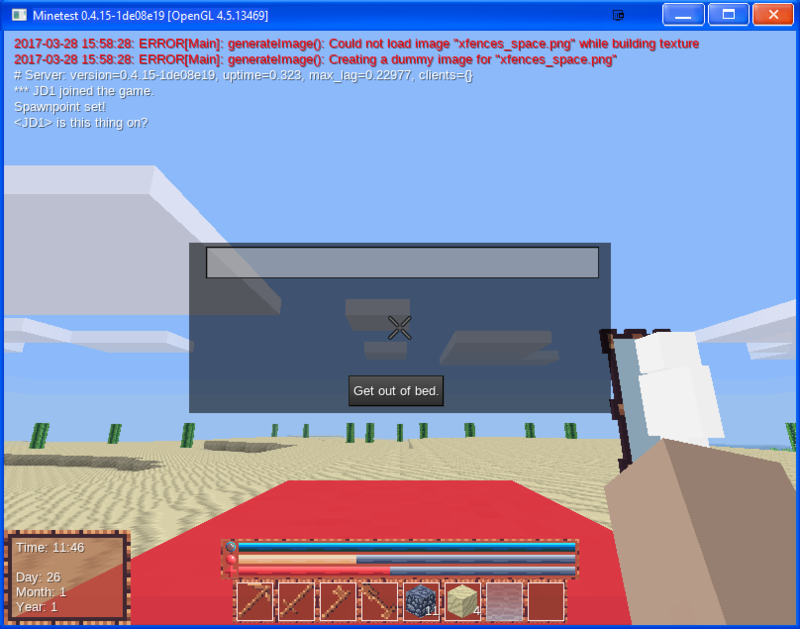 12:13 OldCoder There is a Planes mob? 12:17 RobbieF so... you can't ride the ones that spawn? 12:17 Calinou 4.1 Virtual Properties. 12:36 VanessaE [03-29 05:52] <OldCoder> celeron55, shangul wishes to know why Wikipedia hates Minetest <--- because Minetest isn't "notable" enough and not enough third-party, unrelated sites have write-ups, reviews, other info. 12:37 RobbieF is there an area protection mod that can "give" people an area when they first join? Like, if I join the server for the first time, I'm given a plot of land to build on and nobody else can build there. 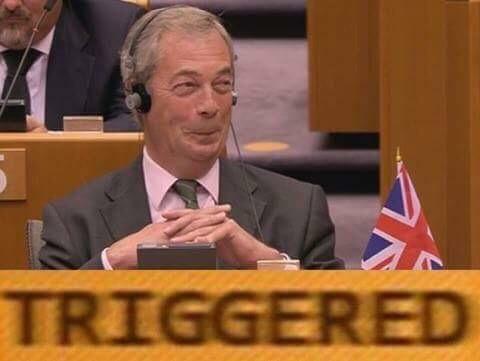 Next person joins and spawns at a different spot and given that plot of land. Does such a thing exist? 12:37 VanessaE also, good morning all. 12:38 VanessaE RobbieF: the closest thing I've heard of to that is how skyblock operates. 12:40 VanessaE that's not something that can easily be done without a custom mapgen that's tied to this hypothetical land ownership concept. 12:41 VanessaE of course, landrush mod makes ownership easy, and don't you get a protection block right away anhow? 12:44 tenplus1 what mods you got in play now ? 12:46 RobbieF OldCoder how do you mean? 12:46 RobbieF the feature I describe? 12:46 RobbieF That'd be amazing. 12:47 RobbieF Sure thing, thanks! 12:51 RobbieF Jordach I'll wait till it's released, but thank you! 12:51 RobbieF how far off from release? 12:52 Calinou <VanessaE> [03-29 05:52] <OldCoder> celeron55, shangul wishes to know why Wikipedia hates Minetest <--- because Minetest isn't "notable" enough and not enough third-party, unrelated sites have write-ups, reviews, other info. 12:52 Calinou wait until Bobby Prince makes a song, "Nobody Told Me About Minetest"
12:54 VanessaE you could have just copied the old nyan cat mod from mt_game. 12:55 VanessaE Jordach: wouldn't help. they'd still continue to exist. 12:58 nerzhul guys, can you look at your opened issues/PR in core and close invalid issues/PR ? 17:12 RobbieF just registering a new server. 17:27 RobbieF Sauerbraten... that takes me back. 17:39 RobbieF oh yeah? Thanks for the heads up. What's going on? 17:40 tenplus1 was that the youtube posted with it fading in ? 17:40 RobbieF gave it a talking to? 17:42 kaeza <OldCoder> shangul, you have temporary voice. For permanent voice, must register nick. 17:42 kaeza I repeat, can we get rid of mode +m here? 17:47 benrob0329 no syntax errors??? 17:47 benrob0329 WHAT IS THIS? 17:54 Shara How's it going? 17:54 benrob0329 return "tried to index a nil value" ? 17:54 benrob0329 isnt that the whole point of that line? 17:59 RobbieF anyone know why a particular technic machine would keep running even when nobody is online? 18:00 tenplus1 what machine ? 18:04 RobbieF nope nobody online. 18:05 RobbieF and don't understand why the block wouldn't be "unloaded"
18:05 RobbieF what does that mean? 18:05 RobbieF okay okay but what / how?! 18:06 RobbieF any idea the nodename? 18:06 benrob0329 you dont want to loose power just because no one is at the reactor, do you? 18:07 behalebabo there's no way to disable automatic forceloading in new technic? 18:12 RobbieF will keep an eye on it. 18:13 Fixer item drops inside saplink(g), how to combat this? 18:16 benrob0329 is there a way to load a chunk? 18:16 behalebabo doesn't the switching station forceload now? 18:25 tenplus1 did it work ok ? 18:27 tenplus1 kaeza: mt.after uses globalstep ? 18:54 RobbieF See ya'll - time for me to go do my show. 19:00 benrob0329 Tardis: Alpha One released! 22:10 Fixer paramat: that sneaking changes have you noticed that using shift while climbine one node high blocks produces slight instamove effect close to the block? 22:13 VanessaE didn't you say you found a second OOM problem that was not related to (the need for) GC64 in Liajit? 22:15 VanessaE out of memory? 22:15 VanessaE I had two happen today in, of all places, mesecons. 22:16 paramat i haven't noticed that, is this with sneak ladder enabled? 22:17 paramat well default is currently snaek ladder enabled so ..
22:19 nore ^ could that be that voxelmanipulators leak lua memory? 22:22 nore paramat: are we sure there are no leaks?